An Oasis in the heart of London’s Covent Garden? Do the shoppers in Covent Garden Piazza realise that just ten minutes away, they could be swimming outdoors? Most of them probably don’t. I have been meaning to write about GLL’s Oasis outdoor pool for sometime now. As my work tends to be in the west end of London it is an easy place to get to, come rain or shine, before or after a day’s toil. The sports centre it is based in has the usual choice of facilities, squash courts, gym, group exercise studios and sauna and a 25 metre indoor pool. The centre is extremely spacious and has a really friendly atmosphere to match any within the industry – GLL does most things really well. The most popular of all of the facilities the centre has on offer is 27.5 metre heated outdoor pool and sun terrace. It really is a lovely place to swim, particularly in the winter when the steam is rising from the pool and when there is a chill in the air. You are surrounded by shabby council flats and disheveled offices, the noises you hear permeate from Covent Garden shoppers, and it feels and sounds amazing. Proper urban swimming. It does have a bit of a reputation. According to one blog: “the gents changing room is historically a gay cruising zone, although I have never noticed it.” Really? It can’t really have been any more blatant. Another blog, imaginatively called Cruising Gays.com says: “This place is very popular. Because it’s cheap, there’s a decent supply of hot young dudes. Also, the outdoor pool is very cool for London: warm even in winter! There is also a smaller indoor pool, gym and sauna. This is a very cruisy place. It will hit you instantly. Homoeroticism is everywhere.” Make you own mind up! 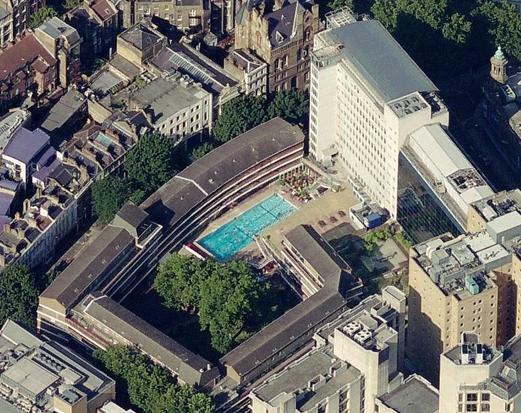 Anyway if you can get over that trifling point, the Oasis open-air heated pool, and sun terrace is a central London revelation to the uninitiated. 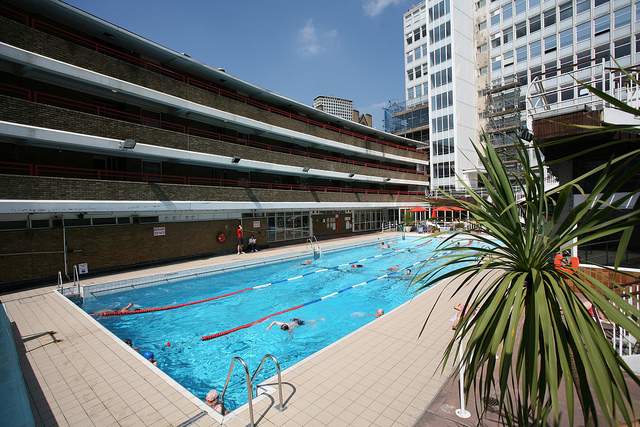 Swimming is free for Camden residents aged 55 and over between 9am and noon Monday to Friday. There really is something for everyone, but best swam in when the winds are blowing, the snow or rain is falling.